Fusion Mineral Paint? Have you heard of this new type of furniture paint? Its one that peeked my interest after several bloggers I follow started testing it out. You guys know how much I love painting furniture. I have shared tutorials here on my blog all about furniture painting! Fusion Mineral Paint-What is it? 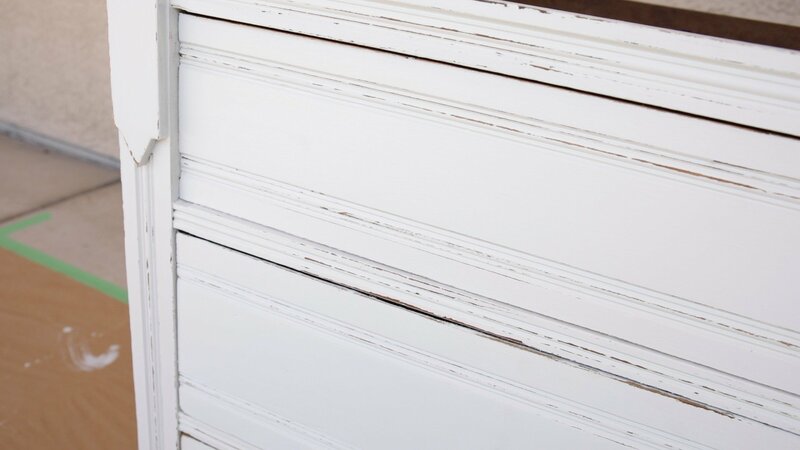 I have shared how to use milk paint for two different types of looks. 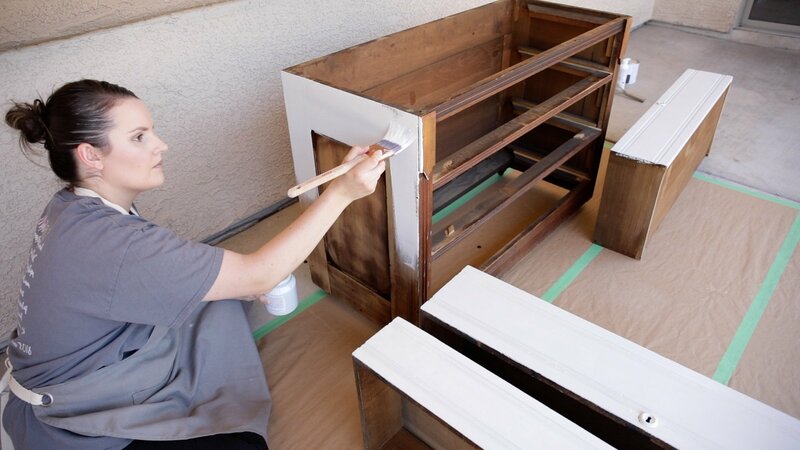 I have also shared everything I know about how to paint furniture with chalk paint. After covering these two different furniture panting mediums I have often wished for the perfect mesh of the two. That led me to Fusion Mineral Paint. I was so intruiged by this line of paint that I actually reached out personally to the brand and asked if they would partner with me. They have been so gracious to do so! In full disclosure I have been compensated by Fusion Mineral paint. But I hope you know enough about me by now to know that I will give you my full and honest opion about this line of products. I will test them out in different ways and make sure you know what to expect! Helping you have peace of mind from a trusted source if you choose to ?use your hard earned money to purchase these paints! If I love this paint I’ll let you know! If I don’t I’ll let you know that too! So the first question; is what is it? ?Here is a quote directly from the manufacturers website!? 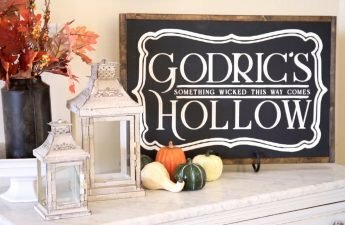 All of that sounds amazing and before I began painting I had high hopes for this brand! Keep reading and I’ll tell you if it lived up to the hype! 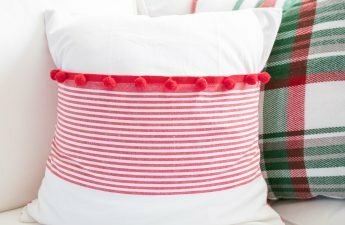 Let me share some of my initial thoughts after shopping for the colors online and receiving them in the mail. First fusion mineral paints color selection is fabulous. They have 4 different “lines” of colors suited for different occasions and color stories. Within these lines combined there are a total of 54 colors to choose from. This is especially impressive if you compare it to other furniture paint brands. The color I picked is called “Lamp White” from their classic collection. It is a soft white with cool gray undertones. I would personally categorize it as a shade of gray. Lets Compare-How does Fusion Mineral Paint Stack Up to Other Furniture Paints? To give you an idea here are several different types of furniture paints I love and recommend. I am including the price point, comparable sizes, exact amount of product, as well as estimated coverage and color options available. Fusion Mineral paint colors are much more to choose from compared to other brands. This is a huge win in my book! Meaning if you are looking for a very specific shade you’re most likely to find it from a Fusion Mineral Paint retailer. 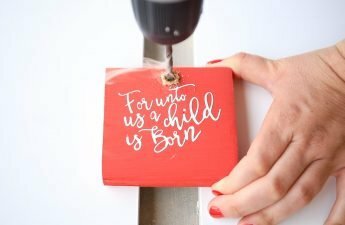 Another added bonus is like Miss Mustard Seed Milk Paint, Fusion also shares a variety of “custom blends” on their website. The custom blend options alone add another 32 options to your already wide range of colors. I love that they added this! Thats a total of 86 colors if you count those! The first thing I wasn’t super thrilled about was the size. The amount of paint you get for the price is quite a bit less than other brands. I do wish you got a little more product for your money. I’ll talk more about the coverage below and if I think less is more when it comes to this paint. 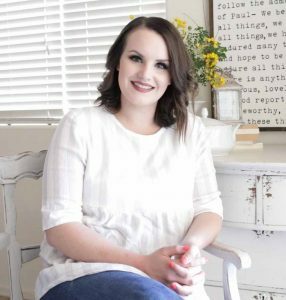 Given the actual amount of coverage you receive and then the amount it is said to cover it is still more than the approximate coverage of Miss Mustard Seeds Milk Paint line. It has a great price point but the amount of product you actually get inflates that a little in my opinion. But still, affordable for the average DIYer who is looking for a more affordable option! After using it on my first project I would say that a single bottle will cover an average size 6 drawer dresser. I used it to paint a smaller 3 drawer dresser and had about half a bottle left. Besides Miss Mustard Seeds Milk paint, Fusion Mineral Paint is also the only brand above that is zero voc and non toxic. This puts it another step ahead in my book! This would mean painting a project indoors would be OK and if you don’t have a big airy workspace outside you are not putting your self in danger regardless of where you paint! Making it versatile regardless of your living situation. 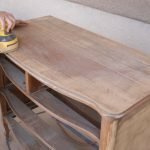 Before I started painting I prepped the entire dresser very thoroughly I shared an entire tutorial and video on how in this recent post.? ?Once My dresser was prepped it was time to paint. Besides having quality paint to paint your furniture I also think having a good set of tools to do so makes all the difference! THIS is my all time favorite paint brush. I also shared an entire post just about the tools I use to paint furniture if you are looking for the entire list of items I enjoy working with. The very first thought I had when I dipped my brush into the bottle is that I really wish the opening was wider. As I painted the bristles of my brush continued to get caught on the opening and get pressed up. This was a little annoying and I wish it had a wider opening. I do however like that the lid is a screw on top making it easy to store when done! How Did it Look and Feel At First Application? As I began to paint it on my dresser I really couldn’t help but notice just how smooth it applied. It really does go on extremely smoothly. Unlike milk paint there are no granules which I wasn’t sure of since the word “mineral” made me wonder if it might have somewhat of a grittier texture. I was completely wrong about that assumption its very fluid and smooth. Was the Color True To How it Looks In the Bottle and Advertised Online? The color right out of the bottle also appeared much more “white than the color I had anticipated” I was pleasantly surprised to see that as is dried down the color was much more true to the color I was anticipating. I will say it had a more “blue ish” hue to it than I had imagined in my mind. That being said I still would 100% classify it as a soft cool tone gray not blue. It really is a stunning color. It works very well in my “non blue” decorated home. I actually am planning to use it on a another piece since I liked this shade “lamp white” so much. So big thumbs up when it comes to the color. Since this paint boasts zero Voc I was anxious to see if this was true. I was not surpised to find that it had virtually no order at all! This means no pesky headache while you paint and really does mean you can use this paint virtually anywhere. How a furniture paint covers is a big one in my book. I was very happy to see that the initial coat covers very well. I was also beyond impressed that it covered something very tricky! Before I prepped this dresser to paint. I actually took off all the old hardware and filled the holes with wood putty. This is. nothing new and something I often do with old pieces of furniture. However the spots filled with wood putty are often times almost impossible to cover with paint. What usually ends up happening is there is a yellow or even pinkish cast in all the spots that shows through the paint from the wood putty. Usually I have a quick way of fixing this but it involves painting over those spots with a polyurethane top coat before painting over it again with the furniture paint. This was not at all the case with fusion mineral paint! After just one coat the wood puttied spots completely vanished. I couldn’t believe it! I ended up doing a solid two coats of paint on this dresser. 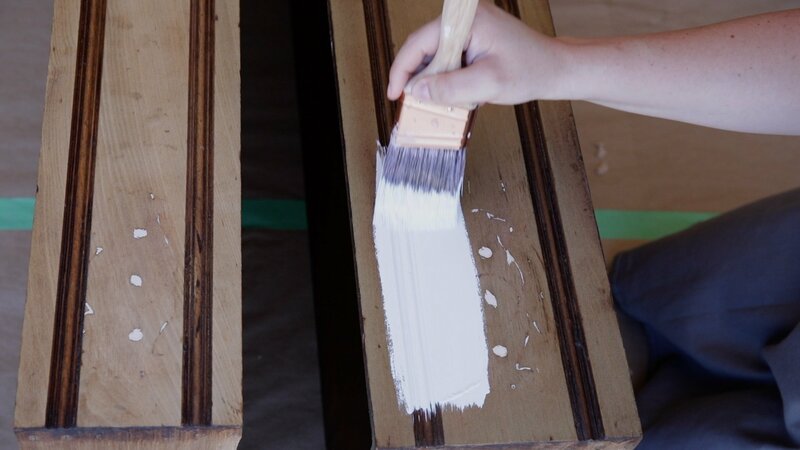 This is about 1-3 coats less than I typically use on any piece of furniture when using milk or chalk paint. So as far as coverage goes it really does stack up well to its competitors. I would actually say it has the best coverage of any furniture paint I have ever used. Which is super surprising giving it is not as thick as other paints. It really is a really perfect blend of milk and chalk paint. Its not as thick as chalk paint but also not as thin as milk paint while also being silky smooth. Seriously the formulation on this paint cannot be beat. How Durable is the Finish of Fusion Mineral Paint? 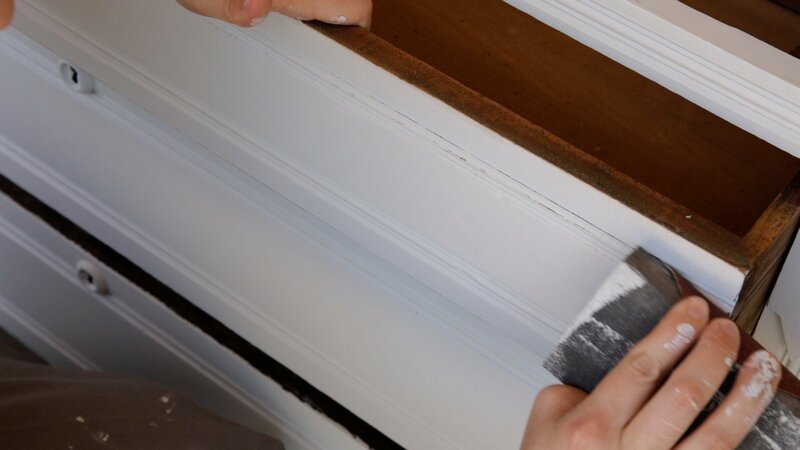 Fusion boasts on its website that it has a very durable finish and doesn’t even need a top coat in every instance. I was eager to see for myself. After I finished painting I noticed right away that my finger prints transferred very easily to the surface. This in my opion means that a top coat would 100% be needed. I would personally say that while it is very smooth its not fingerprint resistant so I wouldn’t go without a top coat. Another big test was how Fusion Mineral Paint distress’. I used a foam sanding block as well as a 220 girt sanding pad to distress this piece. I would say that the expense was very similar to distressing a piece painted in chalk paint. 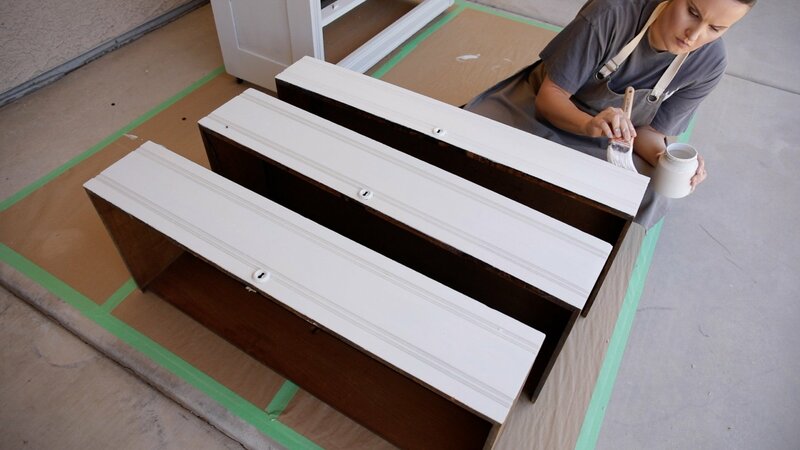 It was very easy to distress while also allowing you to have full control which is not the case with milk paint. I was very pleased with how it distressed. My final thoughts on this product is that it truly is amazing! It may just be my new favorite furniture paint of all time! Thats saying something since you guys know how much I love milk paint! The only really qualms I had were with packaging and the claim that no top coat was needed. I personally think a top coat is always necessary and due to the fact that my finger prints kept transferring I would say that is true for fusion mineral paint as well. I think the formulation really is incredible. Its so unique fluid and smooth and makes for such an easy application. I would say that this would be my #1 recommendation for a new furniture painter! If you have never painted a piece of furniture before this would be the best product to start with! 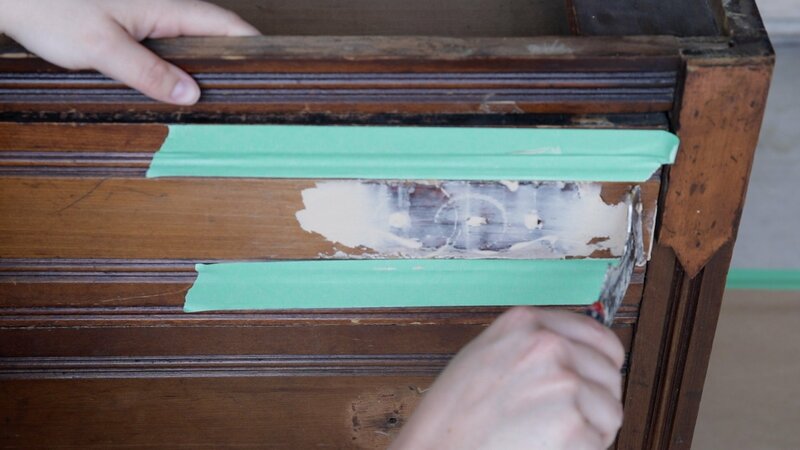 You have the benefit of a smooth and lighter application making it harder to “over do it” with too thick of coats. 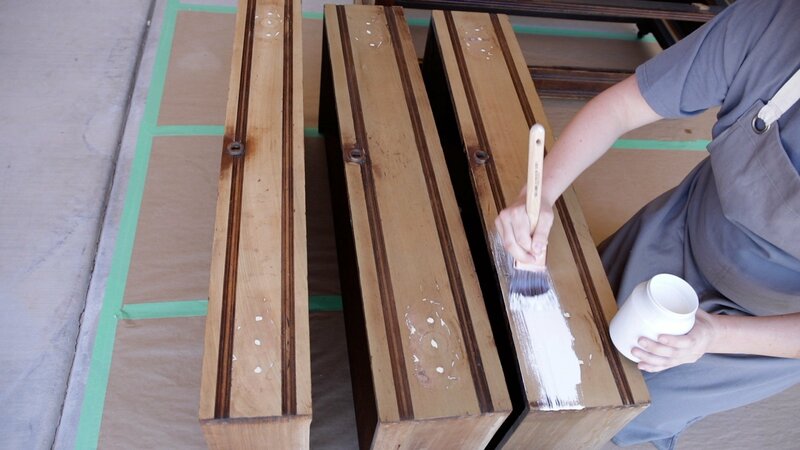 Its also easy to control so you won’t have the finicky issues you run into with milk paint. It would be the perfect beginner and pro product. Will I Use it Again?! I am so happy to have found this line of paint! I will absolutely use it again! If you are looking for a fusion mineral paint retailer you can find a full list HERE. I hope you guys enjoyed this in-depth review and you give it a try for yourself! If you do please let me know if you loved it as much as I did! I’d love to hear your thoughts as well! Especially if you try some different shades! I used the black fusion paint on a cabinet and concur with your fidings regarding finger marks showing up. Can I apply a varnish over top of this or wood a wax be better. Sorry you have run into the same issue! I would 100% recommend the Varathane Unique soft touch matte polyurethane top coat! It has the most beautiful finish and will seal and protect your furniture very well! Its my top used and loved top coat for furniture!